PSS Garage Doors & Gates sells and installs garage doors and garage door openers. Our service area stretches from Goleta, CA to Simi Valley/Oak Park, CA. 45 years of industry experience. Free, no-obligation in-home estimates and measurements. Types of garage doors we supply and install: custom wood, sectional steel, one-piece tilt up, vinyl & fiberglass. Our door vendors include: Amarr, Wayne Dalton, Carriage House Door Company, Ranch House Doors & Clopay. We mainly sell and install LiftMaster/Chamberlain garage door openers, but service all makes and models including Genie & Sears/Craftsman. Please call us at (805) 644-5482. We look forward to handling your garage door & garage door opener needs. PSS Garage Doors & Gates strives to be one of Southern California’s premier garage door companies, supplying and installing high quality residential garage doors for homeowners and homeowners associations from Goleta, CA down to Simi Valley/Oak Park, CA. Customers trust us to handle all of their various residential overhead door needs because we consistently offer industry-leading garage door products and services at very competitive prices. Our knowledgeable, highly-skilled estimators and installers have over 45 years of combined experience, and have successfully worked on all types of garage door systems. We provide free, no-obligation in-home estimates with all necessary measurements included. 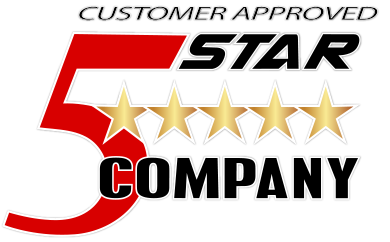 Please note that unlike some of our competitors, PSS Garage Doors & Gates does not use any subcontractors. All work is done by our hardworking, dependable in-house employees. As well-respected garage door suppliers and installation specialists, we are pleased to offer an extensive selection of visually appealing, top performing garage doors to our residential customers throughout Ventura County, Santa Barbara County and into Los Angeles County. We have stunning custom wood doors, sectional steel doors & steel one-piece tilt up doors, vinyl garage doors and fiberglass garage doors. These doors come from top vendors, including Amarr, Wayne Dalton, Clopay, Carriage House Door Company and Ranch House Doors. When you schedule your free quote with our estimators, they will come prepared with a number of brochures that provide clear images and information on the array of quality garage doors we supply. In addition to taking careful measurements, our estimator will work closely with you to find the ideal garage door or doors that match your property’s particular style and requirements. Our residential overhead door estimators always take the time to answer your questions and address any concerns you may have. All of the garage doors our company distributes are custom made with precision to correspond with your specifications. The exception is vinyl overhead doors, which come in a number of standard sizes. No matter which of our garage doors you select for your home, we will absolutely ensure that it fits properly and is free of any defects or blemishes. Our residential garage door installers are efficient and accurate in their work, and pay very close attention to detail. We only hire employees that have a strong work ethic and are committed to excellence, and provide them with all of the industry training and tools required to get the job done right the first time. They make certain that your home’s garage door or doors are installed exactly as they should be, so you don’t have to worry about frustrating, easily avoidable problems or malfunctions. Recognizing that residential overhead doors are substantial, important investments, we do everything we can to make the process as smooth and successful as possible. The entirety of your garage door installation is done within the garage itself. Our employees go step-by-step, stacking the sections, building the track, and configuring all of the other components to leave you with a garage door you’ll be completely satisfied with. In addition to installing the door itself, we also supply and install the garage door openers that are key parts of automatic garage door systems. While we primarily distribute and set up LiftMaster operators (including the 8500 Elite Series Residential Jackshaft Operator and the 8550W with Battery Backup), our technicians are extremely familiar with all makes and models of garage door openers and accessories. With our extensive industry experience, we’re happy to recommend operators that would be perfect for your particular residential application. Our garage door operator installers will make certain that your entire system is set in place exactly as you need it, and functions at peak performance. We pride ourselves on making it as easy as possible for our customers to control their garage access. One of the main reasons that homeowners and homeowners associations choose to do business with PSS Garage Doors & Gates is that we always provide a stress-free experience and the most overall value to our customers. With our decades of quality residential overhead door experience, substantial knowledge and unmatched customer service, you simply won’t find any company better. Please call us today at (805) 644-5482 or fill out the quote request form on this page to get started.